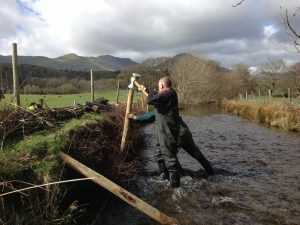 Coniston and Crake Catchment Partnership volunteers carry out monitoring and habitat improvement work from the hills above Coniston to the Crake estuary at Greenodd. 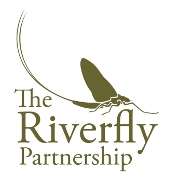 CCCP has been part of the Riverfly Monitoring Initiative since 2009, monitoring the health of the becks around the catchment between April and October each year. Water samples are collected by volunteers on a monthly basis between May and October from selected sites around the catchment. These are sent to the Centre of Ecology and Hydrology in Lancaster to be analysed for phosphates, which provides important information about the levels of this nutrient entering the lake. 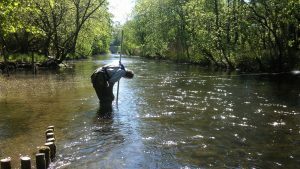 Twice yearly, volunteers measure the depth of the gravels on a section of the River Crake. These gravels are important spawning areas for salmonids and the condition of them has declined over recent years. Monitoring helps to build up a record of the changes that have occurred – and this particular record goes back to 2005! CCCP help SCRT carry out electrofishing surveys in the catchment every year, building up a picture of what fish are present and where, and how those populations have changed over time. CCCP has been involved in implementing habitat improvement works to the becks in the area. The most recent example of this was work carried out on Torver Beck in 2014, in which riparian habitats were improved through stock fencing, bank protection and tree planting.